Global Warming research papers are custom written to focus on any issue of environmental ethics or science you wish. 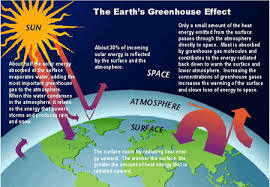 Global warming research papers are written by our sciene and evironmental science writers and focus on any aspect of global warming you need. Custom writting allows you to look at many different topics or be as specific as you want. Is it just me or is it hot in here? If you’ve ever asked this question as a conversation starter I’m sure you are not alone, but this once casual ice-breaker now epitomizes the current conditions within our planet’s atmosphere. Former Vice President Al Gore’s introduction of the global warming concept was initially laughed out of Congress, but it appears that Mr. Gore was only a few years ahead of his time in bringing this potentially dire condition to the forefront of environmental concern in his book Earth in the Balance. Sure there are plenty of naturally occurring phenomena that have a negative effect by depositing greenhouse gases into the atmosphere as well, but their impact in tandem with the human effect of burning fossil fuels only exacerbates the underlying problem. The planet is heating up at an alarming rate and global warming prevention need to be implemented as a means of circumventing the imminent disastrous consequences of this rising thermostat. A once commonly denied concept amongst many elected officials, global warming has now become widely accepted in most circles and with the data amassed by numerous scientific studies it would be quite foolish to refute such claims now. Recent trends have been confirmed as more than simply a natural cycle of the earth. There is now significant evidence to show that human activity and total disregard for what we are releasing into the air has radically altered and intensified these changes to our environment. Yet still we excessively consume fossil fuels like it’s going out of style and release harmful gases into the atmosphere that irreparably damage the gaseous levels in the upper atmosphere placing higher portions of carbon dioxide than would otherwise naturally occur. It is evident that there are a number of steps that can be taken toward improving the environment. Governments in all countries should consider reducing greenhouse gas emissions from power companies and automobiles. Governments also need to consider investing money in the development of renewable sources of energy that do not pollute the environment. Individuals can take steps to reduce greenhouse gas emissions by purchasing electricity from companies that use renewable sources of energy. Individuals can also purchase cars that run on both gas and electricity. Clearly, public and private organizations need to work toward cleaner forms of energy if global warming is to stop. Paper Masters writes custom research papers on Global Warming and focus on any issue of environmental ethics or science you wish.